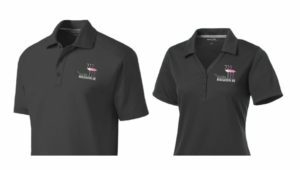 Did you miss out on ordering a polo shirt before the Regional Meeting in May? Good news! We will be taking orders now through close of business on July 21st. You must be able to pick your shirt up at the annual meeting in DC. Shirts are $40 and will be paid for when you pick them up. Please bring cash or check as we cannot accept credit cards at this time.